A Children’s Bible and Christian literature! Follow-up care and discipleship by believers! 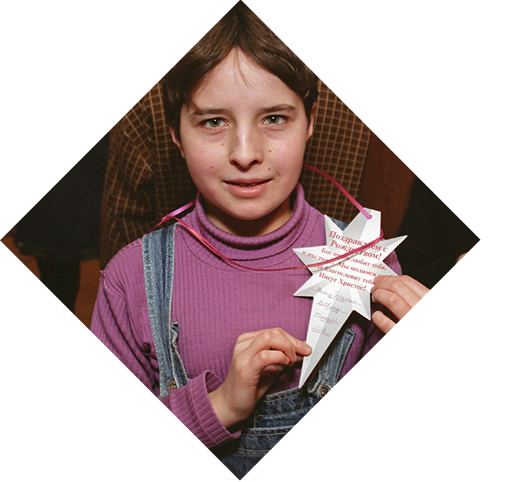 A Star of Bethlehem Ornament — that says “JESUS LOVES YOU!” in Russian — with your name printed on it. 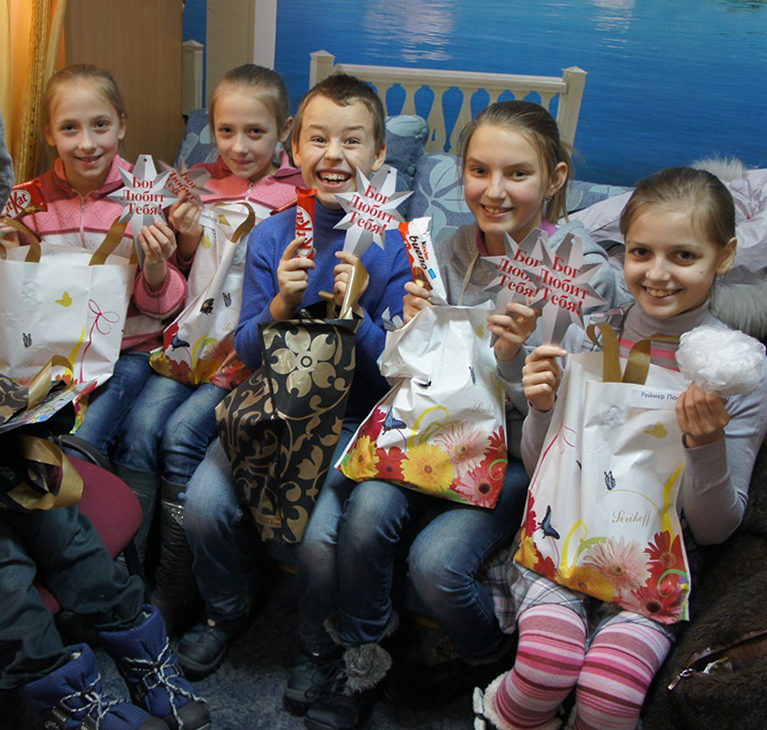 With your gift for SGA’s Immanuel’s Child Outreach, you will bring the hope of the Gospel to “hopeless” girls and boys in Russia, the former Soviet countries of Eastern Europe and Central Asia at Christmastime. Your gift can change their lives forever! A caring Christian will hand your gifts and ornaments to girls or boys this Christmas. Make your gift now to ensure we have time to ship ornaments to orphans, children, and families in time for Christmas. By God’s grace, we want to lead 20,000 children to faith in Jesus!